The PlayStation VR will be available in October 2016. Pre-Orders are being taken now. Check out more about the product, and find links below to pre-order. Discover a new world of unexpected gaming experiences with PlayStation® VR. Redefine your expectations of immersion in gaming with moments so intense your intuition takes over. Step into incredible virtual worlds and overcome new challenges in extraordinary ways. With gamers in mind, PlayStation delivers a new world of unexpected gaming experiences through PlayStation®VR. Play some of the most highly anticipated titles of 2016 on PS VR including an all-new Star WarsBattlefront gaming experience and games like PlayStation®VR Worlds, Golem, and RIGS Mechanized Combat League. Getting into PlayStation®VR couldn’t be easier. Just plug the PlayStation®VR headset and your PlayStation® Camera* into your PlayStation®4 system*. You’re ready to go. The feeling of being there’ starts with what you see. Seamless visuals keep you connected to the virtual world through an expansive 5.7″ OLED 1080p display running at up to 120 frames per second. 3D Audio with PlayStation®VR means that you’ll be able to pinpoint sounds above, below, and all around you. Instinctively turn your head to the source of a single footstep and be able to judge its distance, just as you would in real life. The PlayStation®VR headset was engineered to be balanced, comfortable, and completely adjustable. It’s designed to feel like it’s not there – keeping you free from distraction as you explore new gaming worlds. The LEDs around the PlayStation®VR headset, on the DUALSHOCK 4 wireless controller, and the PlayStation®Move motion controller are tracked by the PlayStation®Camera, providing an incredibly precise capture of your natural movement in virtual space. The PlayStation VR can be yours for through GameStop for $399.99 while the Launch Bundle is $499.99. Other places to pre-order are Best Buy. 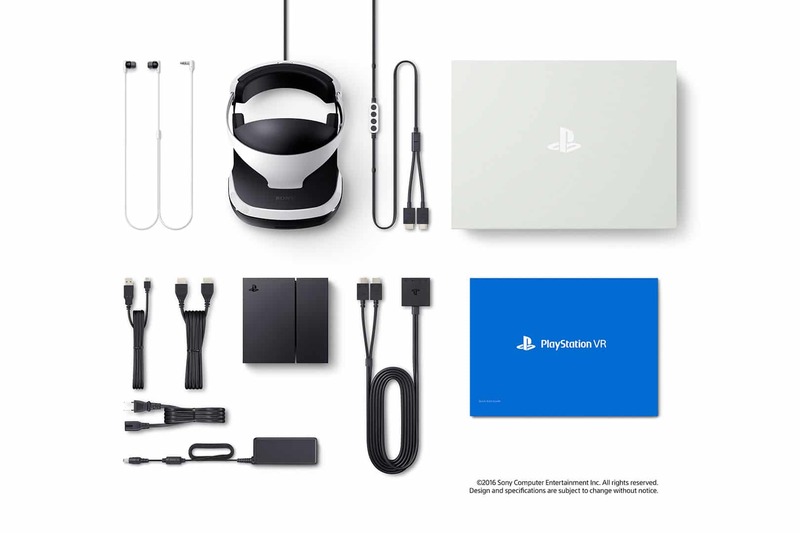 The PlayStation VR is $399.99 and the Launch Bundle is $499.99. If you prefer Target you can get it there, too. The VR ($399.00) and Launch Bundle ($499.00) are also available at Walmart but are currently sold out.